ECOWAS is meeting today in an impromptu session of the Mediation and Security Council over the request by the Government of Mali for ECOWAS to intervene to handle the situation occurring in the North of the country and to assist in combating what they deem to be a terrorist threat. 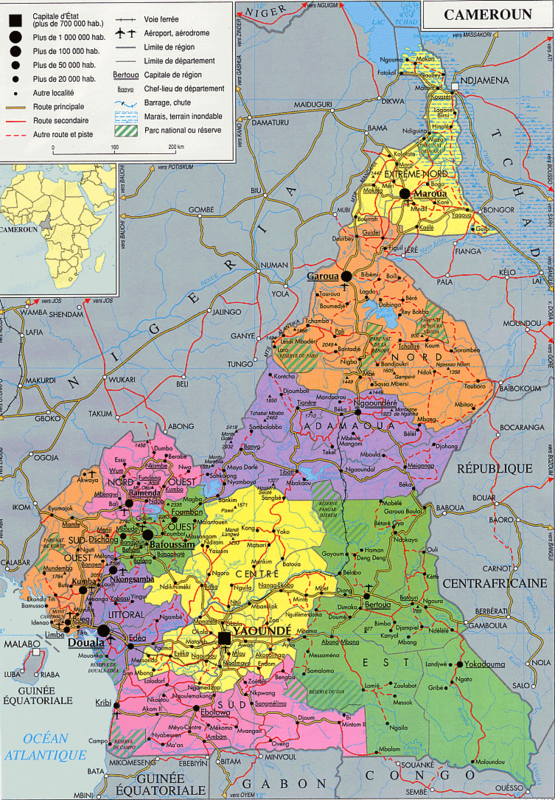 Support [the Malian government] institutions in the capital, to build the capacity of the armed forces of Mali and their security services, and to support them [in restoring] their territorial integrity. However, he continues by arguing that valuable has been lost, which is one of the reasons why what many are calling al-Qaida linked Islamist groups are controlling two-thirds of Mali’s territory. The intervention by ECOWAS was requested by Mali’s interim President, Dioncounda Traoré; however, it also has profound implications for Catain Sanogo, the former military junta leader who is responsible for the overthrow of Mali’s former President, Amadou Toumani Touré, in late March. Although Sanogo is aligned with Traoré’s decision and hopes that the Mali military will benefit and learn from ECOWAS’ involvement, especially in regard to anti-terrorist operations, he does, however, disagree that direct intervention by ECOWAS in needed (French). Thus far, the ECOWAS mandate has created a standby force of 3,300 who are currently situated in Bamako to augment the operational capabilities of Malian security and military, and to assist in delivering humanitarian aid to refugees and IDPs displaced from the North. However, given that these ECOWAS troops must answer to Captain Sanogo, it is unlikely they will fulfill their task to strengthen civil authorities. Sanogo has made it quite clear that he does not want ECOWAS troops in the South of the country, which he argues is perfectly secured by the Malian military whose capabilities have not dissipated. Sanogo merely wants ECOWAS logistical and aerial support in the North to once and for all squash the rebellion. Surprisingly, Sanogo, Prime Minister Diarra, and interim President Touré have become quite the combination, each with their own area of expertise. 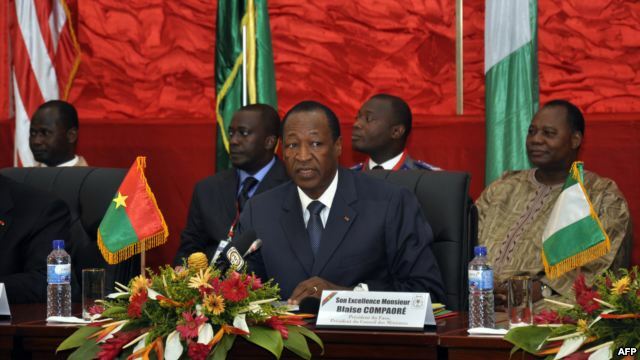 Despite their collaboration and mutual support, many outside actors critic Touré’s ECOWAS request as vague, which might result in the rejection of his request. 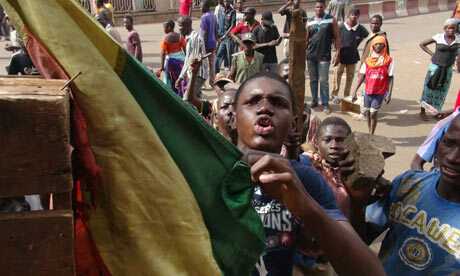 Time will tell how (and if) the ECOWAS intervention will pan-out for Mali. If the UN mandate does indeed allow for an ECOWAS intervention, then France has reaffirmed its material support for the Malian military to fight against the Northern rebellion. 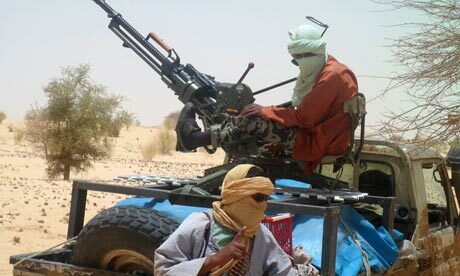 Now the Tuaregs are acting upon this unmet promise by the French, which is further complicated by the various militant factions also vying for control. So the French’s material support should not come as a surprise. In the French didn’t want the Tuareg’s to have their own state over a half century ago, their perceptions are likely to have not changed significantly. If the French (and other Western nations) are concerned with securing natural resources, specifically oil, then it makes sense for them to assist the Malian government. The Taoudeni Basin, which overlaps northern Mali, a bit of southern Algeria, and central Mauritania, is suspected to have oil reserves. If the West (and France) are concerned about securing access to oil, then dealing with (yet another Islamic) government over access to oil is likely not what they are aiming for, especially given France’s weak track record when it comes to dealing with Islamic issues. A united Malian government will be more sympathetic to their desires. First, the action that is decided upon, whatever that action may be, should not be decided because it is in the geostrategic interests of the West (such as resource security). If an ECOWAS intervention is mandated, then it should be because it is the last resort and the only course of action left with any hope to secure the Malian state as we know it. Youth Protests Against the Tuareg Rebellion. Secondly, if intervention is mandated by the UN and ECOWAS, then it must be remembered what shape this intervention might take. Given that much of the northern strongholds are in urbanized areas, then it must be remembered that any action risks significant and unnecessary civilian deaths and even more displacement. 450,000 Malians have already been displaced from their homes – an ECOWAS intervention is likely to only continue to raise that number. The unintended consequences of intervention need to be fully considered before intervention is mandated. Lastly, rhetoric used surrounding the crisis needs to be used with caution. Labeling rebel factions like the AQIM as ‘terrorist’ linked to ‘al-Qaida’ might be completely warranted; however, if there is any doubt that these groups are not linked to al-Qaida, then this sort of terminology should be avoided at all costs and substituted for a less politicized alternative. In today’s post-9/11 world, the words ‘terrorism’ and ‘al-Qaida’ have a power to convince nearly anyone to support a cause in opposition to these ‘evils’ of the 21st century. If these terms are used in the correct context, then I see no issue. But if these terms are being thrown around because it is easy to win popular support or to depoliticize issues that are perhaps deeply imbedded in Malian history that journalists and those in public office do not seek to uncover, then this is simply wrong. France is one of the many actors using the terrorist terminology, stating things like: « avec Al-Qaïda, on ne négocie pas » - "With al-Qaida, we don't negotiate". I am interested in hearing the verdict, although I think it will lean towards supporting an ECOWAS intervention. All I hope for now is that it is decided with careful consideration and undertaken with extreme caution so as to minimize more unnecessary civilian deaths and displacements.